Ironclad Tactics is a fast-paced, card-based tactics game set in an alternate history Civil War. 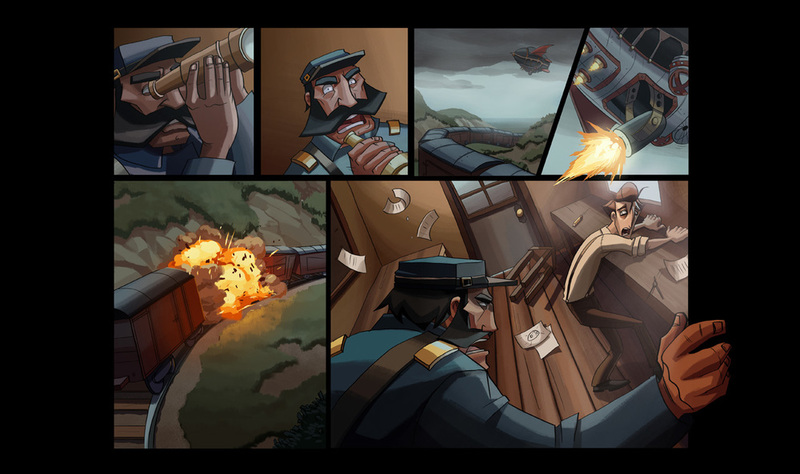 As a production artist on Ironclad Tactics, I worked on a myriad of game elements including Background Illustration, Comic page coloring, User Interface design and art, and many other assets that make up this game. The main campaign of Ironclad Tactics spans the entire map of Civil War Era America. Deserts, train stations, abandoned warehouses, Native American camps, and even the White House make up just a few of the locales players will visit. In later campaigns, the players travel across the pond to Europe during the Franco-Prussian War. Each location you visit in Ironclad Tactics needed a unique and defining set of assets. Here is a collection of location backgrounds, level icons, and campaign maps that were created for the three campaigns. 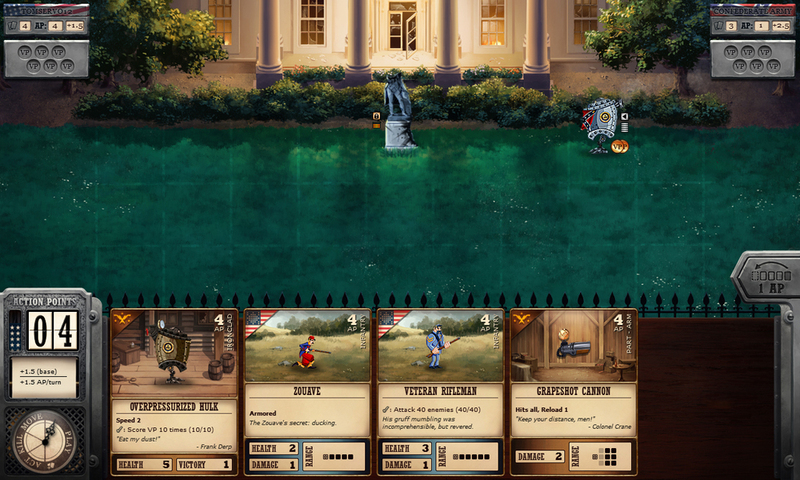 Ironclad Tactics features a user interface that draws inspiration from many aspects of 19th century America. The menus take their visual style from maps, newspapers, and playbills from the 1800's. The HUD and other in-game elements are physical pieces that are modeled after the well-worn, handmade equipment and weapons that you would find in a soldier's rucksack. 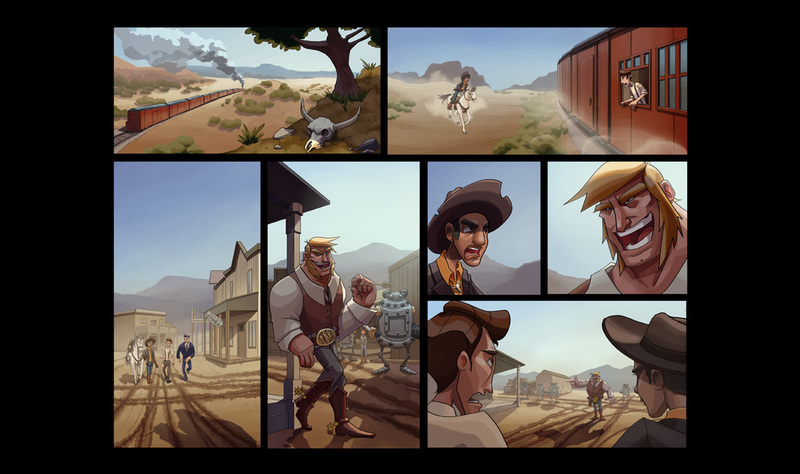 The story in Ironclad Tactics is told through a fully interactive, 100+ page graphic novel that required the work of many different artists to complete. The pipeline started with pencils and layout, followed by inking, and then flat color, all being passed along to a different artist for each step. 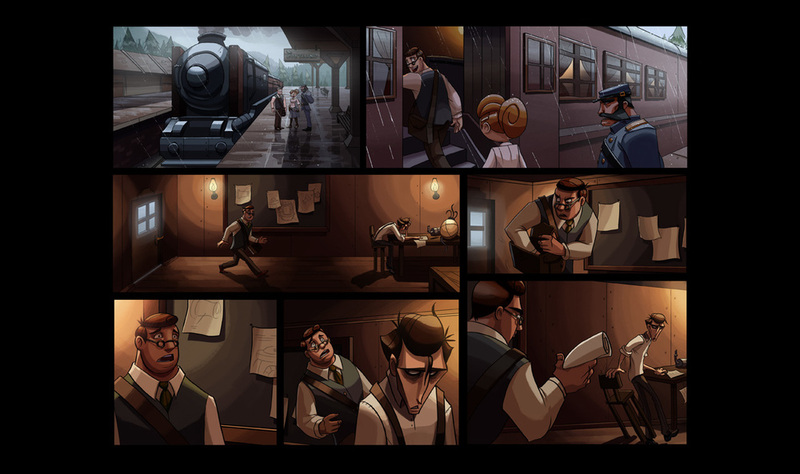 My task was the final step, which involved creating the final colors for the page. 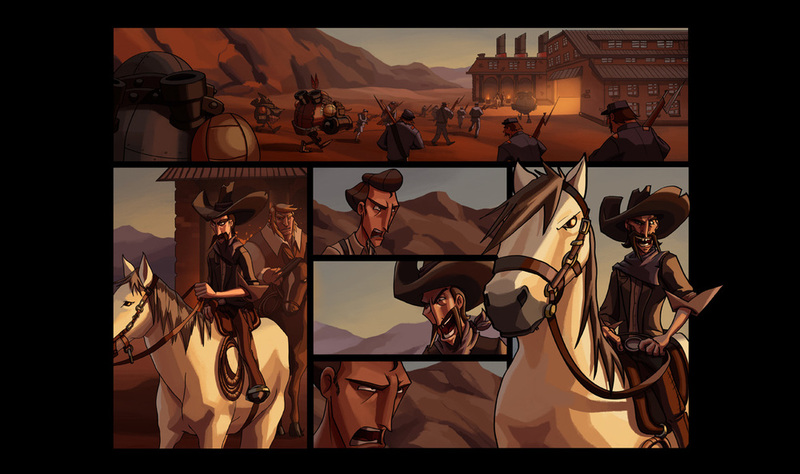 I wanted the story in Ironclad tactics to feel like a classic western film. 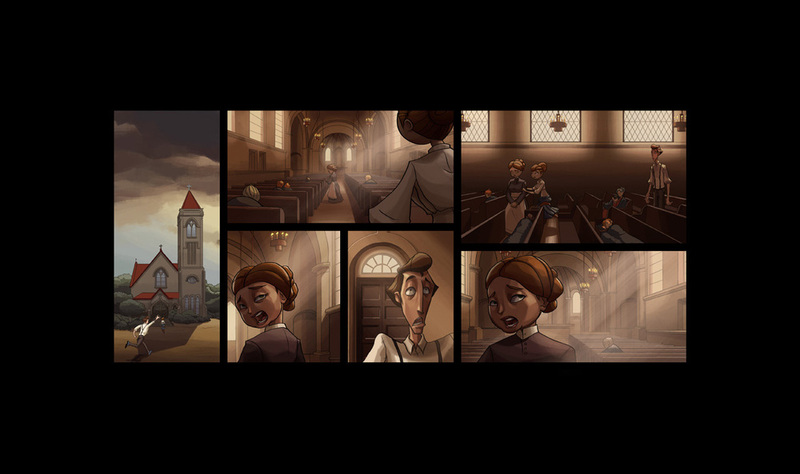 The color scheme of the comic pages employs harsh sunlight, overcast skies, candle light, and golden hour sunsets to set the mood for the player's adventure.